My mother-in-law moved to The Gables of Fitchburg, and it was really easy, quick, and worked out really well. It's like a five-star hotel, so it's really nice. The staff is warm and friendly. They include all services and the upfront cost is the cost of everything. The dining area is beautiful and very nice. They have game rooms, activities, trips and outings, laundry facilities, and pretty much everything that's needed. It's very expensive though, but you get what you pay for at top quality. My 84 year old father is a very proud man who has always valued his independence. The Gables of Fitchburg has allowed my father to keep his independence while giving our family peace of mind because he is never completely alone. He has a nice size, well kept apartment at "The Gables" that includes a living room, kitchen, bedroom, handicapped bathroom, and patio. One of the things my dad has always enjoyed about his own home is his collection of oil paintings. At the Gables, he was allowed to hang his paintings; giving his apartment that personal touch. I can not say enough concerning the staff at "The Gables". From day one, they have made my dad feel like a part of their family. When ever my dad needs assistance, all he has to do is press his life alert button, and a staff member is there with in minutes. The staff also goes out of their way to get to know the interests of each resident and make them feel special. My father is a Yankee's fan and one of the staff members gave him a Yankee's baseball cap. Prior to my dad becoming a resident, our family always worried about my dad being alone and just sitting in front of the television until one of us could visit him. The Gables offers daily activities to keep my dad active; including bingo, musical events, and day trips. The cost of "The Gables" includes three meals a day. I have had the opportunity to have meals with my dad in the dining room and have found that the meals to be very tasty with nice sized portions. In short, I highly recommend "The Gables" for anyone that is looking for a quality assisted living residence for their loved one. I am confident that my dad is in a safe place and is receiving excellent care. The Gables has to be one of the best kept secrets in the area! My mom has been there for two years and has received nothing but the best care and services around. Apartment style living makes the residents feel like a big family. The food is great and the staff, ALL of them, are supportive and know everyone's name. Everyone pitches in here with greatest care to make the residents feel comfortable. The CNA's are unbelievably caring , the daily activities help keep the residents minds active, a special once a month dinner brings families together for an evening of fun and food, plus shopping trips to area stores restaurants or appointments add to the experience. Most important is THE GABLES IS LOCALLY OWNED! No corporate attitude here and the small size of around 50 residents is perfect, CHECK THIS PLACE OUT! It is also the most reasonably priced. 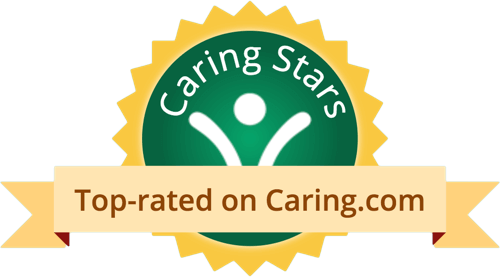 The Gables of Fitchburg is impeccably kept, staff went out of their way to be helpful, rooms are spacious, and my mother reports that the food service is good too. I have nothing but positive things to say about it. They have a lot of activities and amenities. They have a daily activities calendar. They have shopping trips, games to keep their mind alert, coffee socials every afternoon, ecumenical religious services on a regular basis, they do nails for them, musical groups come in from time to time, and once a month they have a special dinner and they invite families to participate. The staff is excellent and very attentive, and if I had to take her somewhere, they make sure that she's all ready to go, and her hair is in good shape. They've been very good, they distribute medications, and they're very methodical about it. My mom is living in the Gables. It’s close to our house and has beautiful, well-maintained grounds. The staff is very nice and all know each other. It has a lower price, a better quality of food, and the building was nicer. They have an all-inclusive pricing package. She has her own little unit with porch and kitchenette, but the nurses come in to check on her. They have a beauty salon, laundry facilities, an exercise room, and PT on the facility. 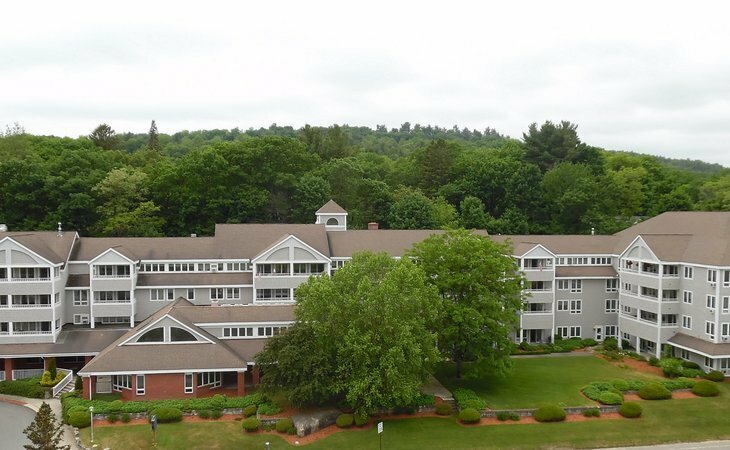 The Gables of Fitchburg is a senior living provider in Fitchburg, Massachusetts that offers residents Assisted Living. Contact The Gables of Fitchburg for more details on services and rates. What should caregivers and potential residents know about The Gables of Fitchburg?